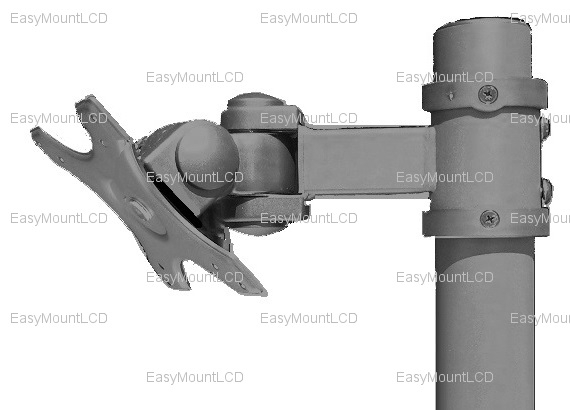 This sturdy, well designed Single Mounting Head Kit For 2" Diameter Pole works great with 50.8 mm (2.00") diameter pole. Our website shipping calculation applies only to addresses within the continental United States. APO, FPO, PO Box, Hawaii, Alaska, Puerto Rico, and International locations are excluded from our automatic shipping calculation. Customers from these locations must provide a full shipping address to get a modified Shipping Quote and adjust payment accordingly. Orders not in compliance in this program will be cancelled and the payment refunded. - Most items are shipped the SAME DAY via FedEx/USPS if cleared payment is received before 2:00 PM EST M-F excluding Holidays. Normal estimated shipping time is about 1-5 business days via FedEx Ground/USPS Priority Mail Standard shipping for continental United States barring any exceptions. Overnight/2- day/Express saver is also available (additional charges may apply). For international locations, normal estimated shipping time is about 6-10 business days. However actual freight transit time varies by locations and shipping methods. Expedited shipping also available. Notification of shippment will be sent to your email address when shipped. - For international customers, the import duties, taxes, and fees are not included in the item price or shipping charges. Please check with your Government Customs Office for these additional costs before purchasing. Copyright © 2009-2019 EasyMountLCD.com. All rights reserved.